Marilyn Färdig Whiteley is an independent scholar currently editing the papers of Annie Leake Tuttle, and co-editing a collection of essays on the history of women in Canadian churches. Errington, Jane. 1994. “Ladies and Schoolmistresses: Educating Women in Early Nineteenth-Century Upper Canada”. 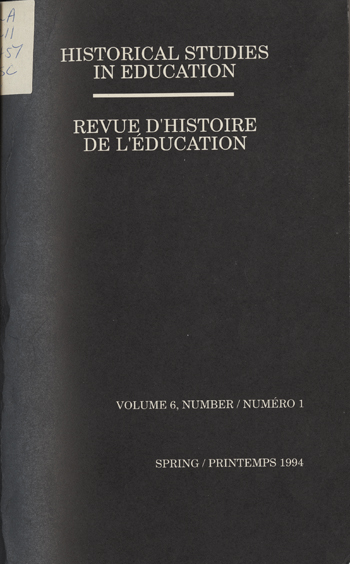 Historical Studies in Education / Revue D’histoire De L’éducation 6 (1), 71-96. https://historicalstudiesineducation.ca/index.php/edu_hse-rhe/article/view/1150.